BISL is unique in Slovenia, in that our students wear a school uniform. Our uniform supplier are The School Uniform Specialists. The guidelines for the school uniform follow below. Please note that items marked with * can be purchased anywhere but all other items must be purchased from the online uniform shop. Parents are also strongly encouraged to purchase name tapes from the online shop and put them on all items of uniform for easier identification. Rather than a uniform, there is a dress code for Sixth Form students. The expectation is that they will come to school wearing professional clothing of an equivalent smartness to the uniform. Blue jeans, t-shirts, flip-flops and other such leisurewear are not appropriate. Skirts should be knee length or longer. High heels are not appropriate. Sports shoes (including All stars/Converse) are not permitted, unless all black. Guidelines for first-time users: Please go to www.theschooluniformspecialists.com and log in with the following password LJU976, to access our uniform catalogue, then set up your account, similarly to any other online clothing shop. Orders will be collated every 1st and 3rd Monday in each month, then processed and despatched to the school. As before, we offer a selection of uniform samples for try-out. 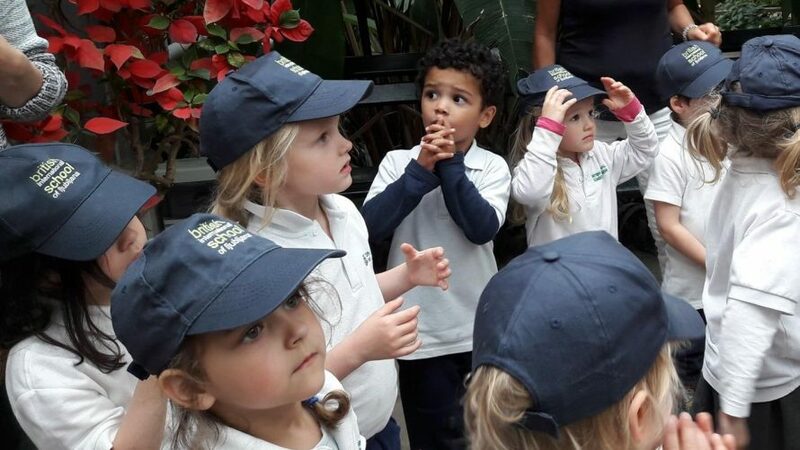 In order to get the right sizes, we strongly encourage the parents to set up an appointment for a uniform try-out prior to purchasing by contacting the admissions office at admissions@britishschool.si or +386 (0)40 618 356. In case of any trouble with the order process, please contact the School Uniform Specialists’ Sales and Customer Services here: https://www.theschooluniformspecialists.com/contact.